Dorset’s rustic landscapes form the backdrop for the latest cinematic adaptation of Thomas Hardy’s 1874 novel, Far From the Madding Crowd, which hits theatres May 1. 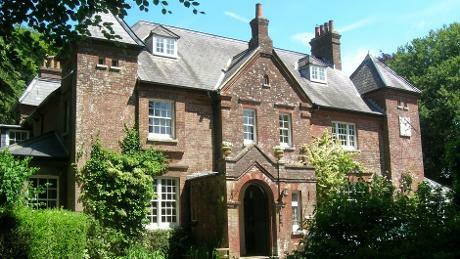 Hardy set many of his tales of love and tragedy amidst the grassy hills and bucolic farms of Dorset, dubbing the area South Wessex. Much has remained unchanged into the present day and a new leaflet put together by the Hardy society links the places where the writer lived with the villages that he wrote about and other sites of interest, including the church where his heart is buried. 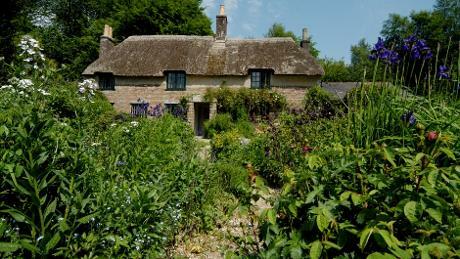 Start your journey at Hardy’s Cottage, the thatched-roof dwelling built by the writer’s great-grandfather. Hardy was born in the cottage and lived there for 34 years, penning portions of Far from the Madding Crowd in his second floor bedroom. He later lived at Max Gate, a turreted Victorian villa which he designed himself. His first wife, Emma, found the house cold and uninviting, a state of affairs reflected in the gradual disintegration of their marriage and her retreat to the second story. Other area visitor attractions include the Dorset County Museum, which boasts the largest Hardy collection in the world, and Athelhampton House and Gardens, which Hardy regularly visited. Download the leaflet and follow the Hardy Trail.